The Ministry of Natural Resources and the Environment has asked four central provinces to provide regular reports on marine environment quality. 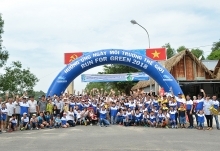 The provinces of Ha Tinh, Quang Binh, Quang Tri and Thua Thien–Hue have been told that they should seriously implement instructions to monitor the environment and submit reports. The reports will be made public on the ministry’s portal as well as on mass media. An official note sent to the provinces by the ministry also suggests that local authorities publish the reports on their own portals and other mass media outlets. Last May, Ha Tinh Province installed an automatic water quality monitoring station at the point where the Formosa factory discharges wastewater. 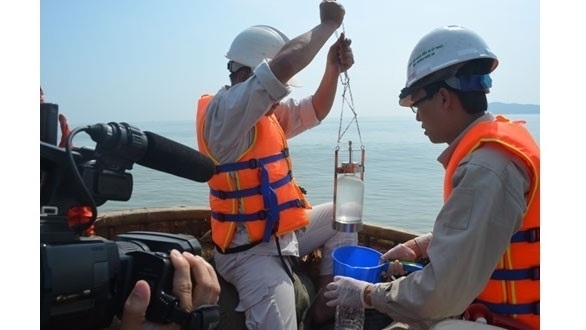 The station is expected to check regularly the waste being discharged by the Taiwanese company, which was responsible for the mass fish deaths in several central Vietnamese provinces last year. The station operates round-the-clock and automatically updates results every two minutes. The six factors that the station checks include COD (chemical oxygen demand), SS (suspended solids), temperature, pH and total nitrogen. The installation of the monitoring station was deemed necessary after the company’s discharge of effluents seriously polluted the marine environment in several central provinces.